Today, we’re focusing on the emotional aspects of trauma and what you can do to speed your recovery. Take a few moments to reflect upon your life and notice old hurts, especially emotional ones, which influence your life. These could be your parents’ divorce when you were young, being bullied, or other upsets. 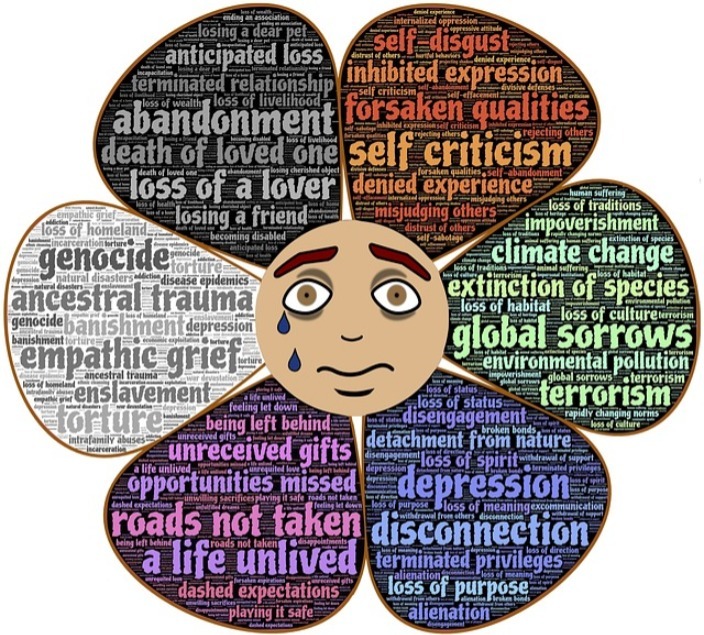 Depending upon your emotional reaction, you will experience different levels of trauma. 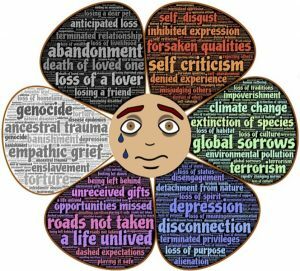 Let’s look at some ways you can help yourself cope with emotional trauma. Some of these are simple and you may not think they would be effective. Small strategies can have a tremendous influence simply because you are taking control of the event rather than allowing the event to control you. Congratulate yourself on surviving. You made it through what happened. It doesn’t matter whether the event was physical, which always involves emotions, or “just emotional. You’re here. You did it. You’ve coped. You may not think that’s a big deal. After all, what else were you to do. You could have crashed and burned but you didn’t. Pat yourself on your back and give yourself a big hug. Really.Reminds me of a song! Give yourself some time. If the trauma was recent, you need some recuperation time. When the trauma is physical, you can see your wounds. When emotional, the wounds are hidden but they hurt sooooo much. Healing from emotional trauma takes time and rest. In the evenings after work, allow yourself some time to relax. Time plus be nice to yourself. You have to keep going in your daily life. Give yourself a break if you get distracted and take longer at your tasks. That’s your mind slowing down to process everything. Talk gently to yourself and remind yourself you need to be gentle with yourself. Keep the positive thoughts going. You can develop your own affirmation such as, “Each day I get better and better.” You can also sing the “I Will Survive” song above. Make it your ring tone. Do something you enjoy each day. This is a wonderful stress buster and one everyone should incorporate in their lives. Even if it’s just for 30 minutes a day, sit outdoors and watch the birds, work on a fun project, or talk to a friend. Staying in touch with the things that give you joy will speed your recovery. Let yourself cry, beat pillows, scream. Sometimes you just need to releae those feelings. After you let them go, take a few minutes and breathe deeply. Imagine you’re breathing in healing love. See, sense, feel that love course through your body. You are an amazing person and stronger than anyone ever knows even when you need to do some emotional release. Put on some relaxing or joyful music. Research shows that music soothes your spirit. Listen to music which brings you peace each day for at least 15 minutes. You can go to YouTube and search for relaxing music. There is plenty out there. Just to give you a head start, I found the piece below for you. You can use it for background music or listen and watch the beautiful images. Pamper yourself. If ever there’s a time to indulge indulge yourself, it’s when you’re healing from trauma. Relax on the couch, play with the kids, do that one thing you’ve been wanting to do. Watch funny movies or television. Laughing is shown to boost the immune system. Find something funny to watch. Everyone’s humor is different so be sure you find something for your sense of humor. Belly laughs are great and they release tension as well as improving your health. Move your body. Provided the doctor says it’s okay, engage in some physical activity each day. Dance. Walk. Play ball. Do some yoga. Lift weights, or get on the treadmill. Physical exercise releases endorphins, the “feel good” hormones. Be with those you love. Spend time with people who give your life meaning. Laughing, signing and dancing with them combines several wonderful things in your life. Recognize when you need help. Sometimes you need an expert. That’s not a sign of weakness. It’s a sign of strength to know when you need help. You deserve the best of life. Spending time with a expert can give you a new perspective. Healing takes time. You deserve that time. If you don’t take care of yourself, no one else will be able to help you.